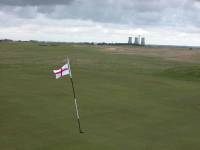 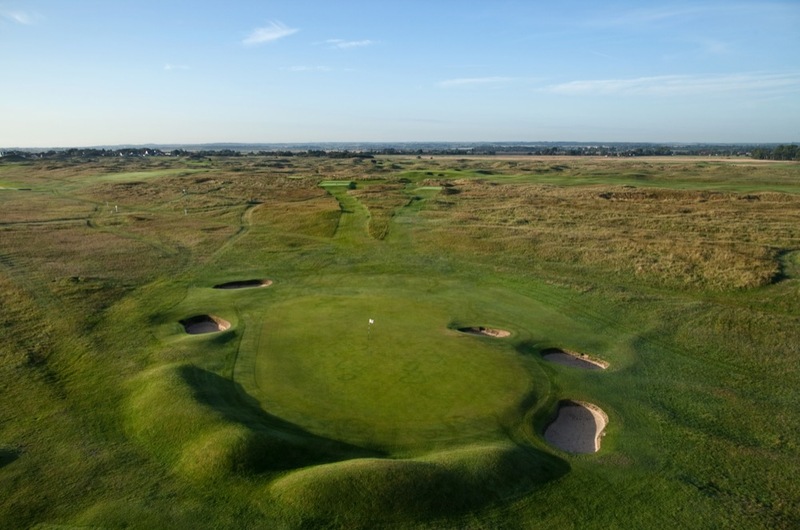 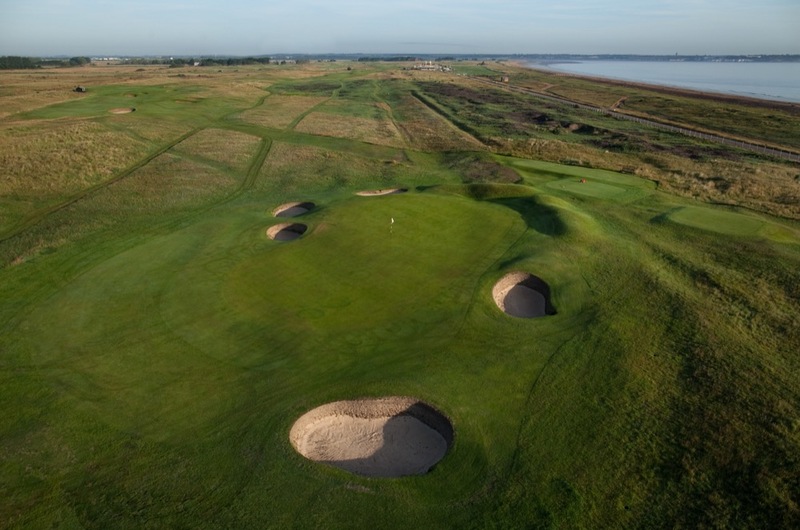 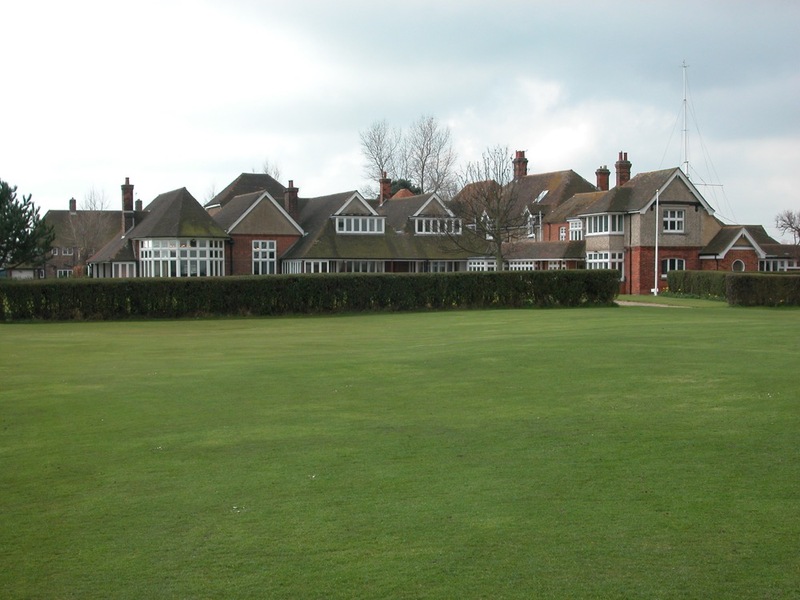 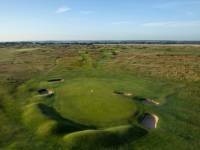 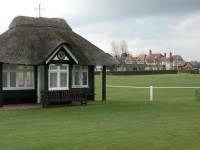 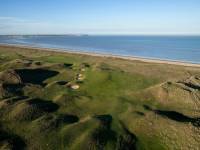 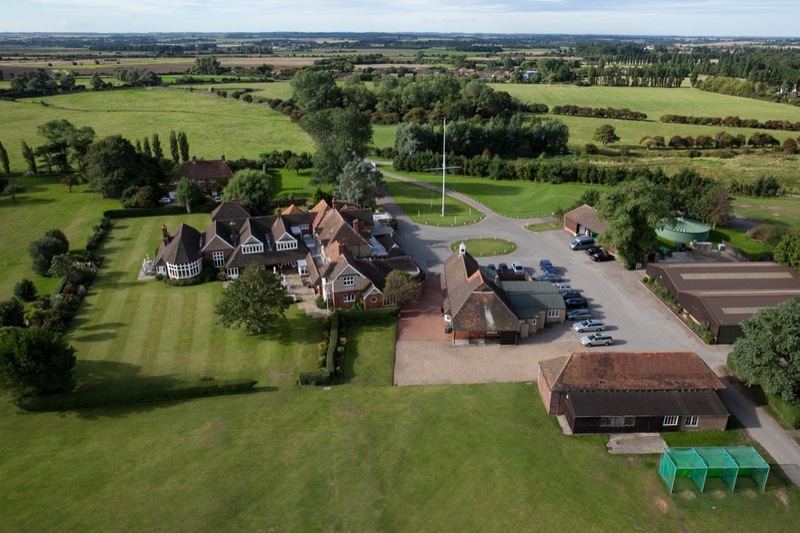 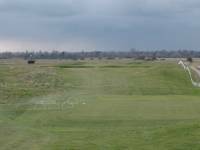 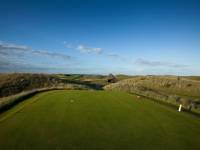 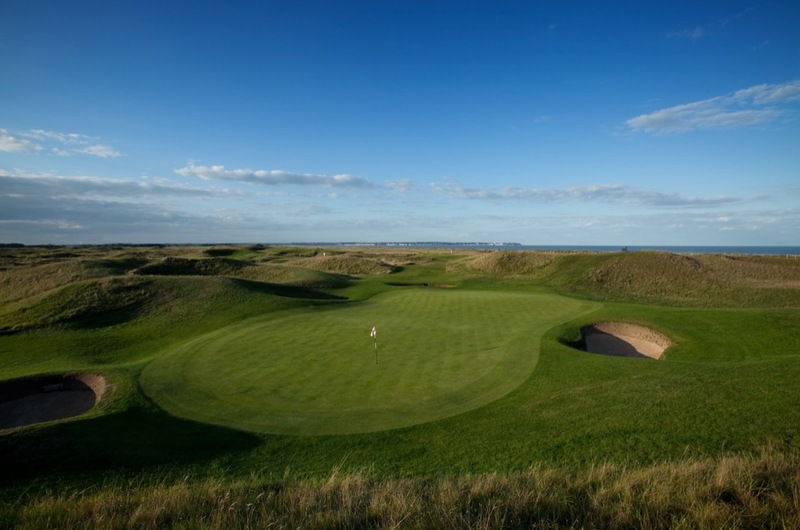 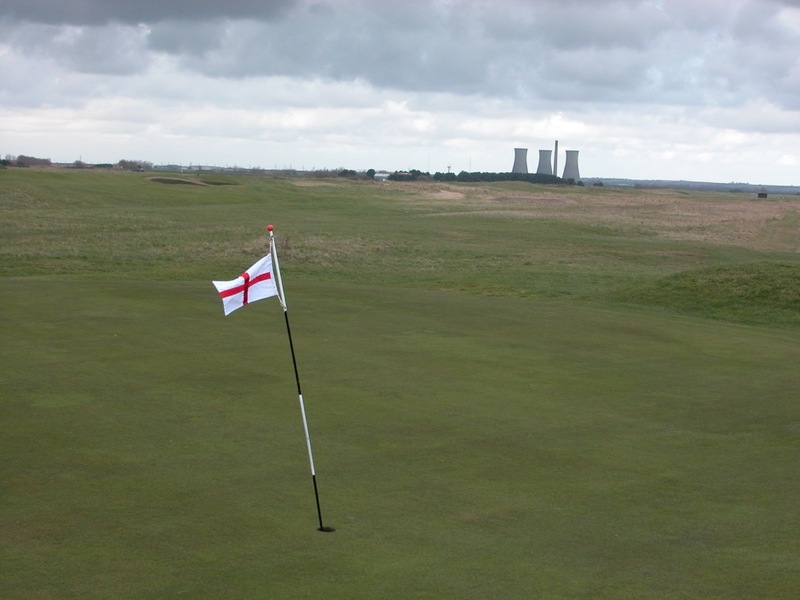 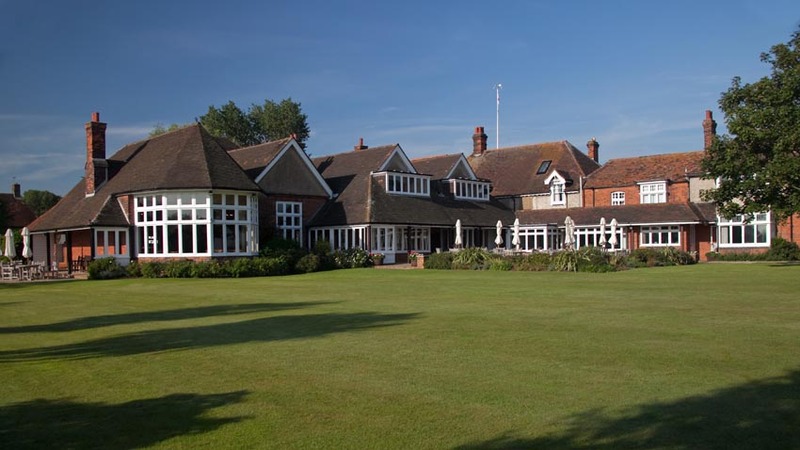 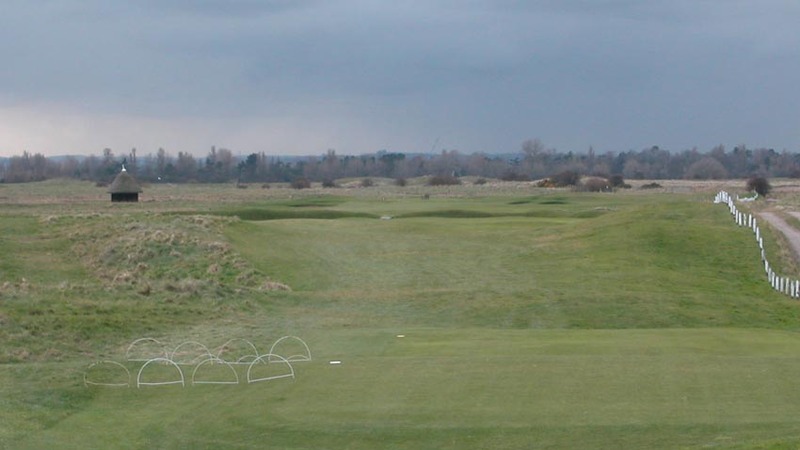 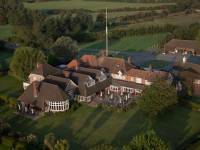 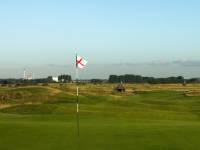 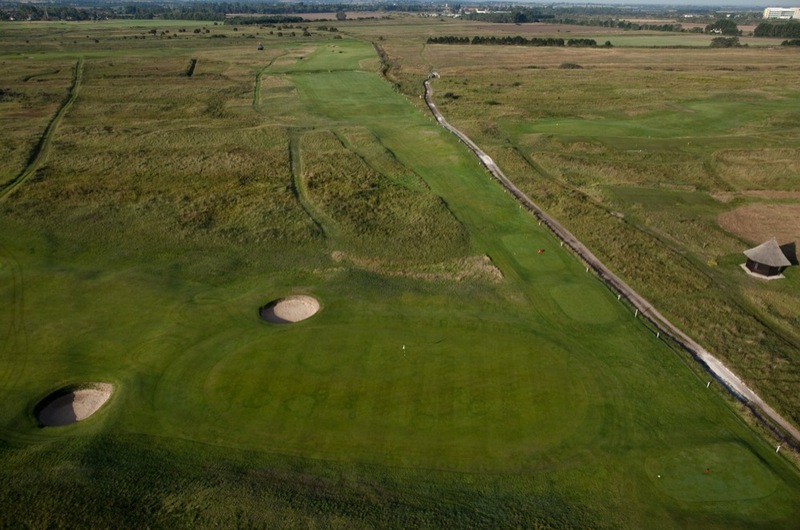 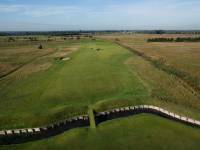 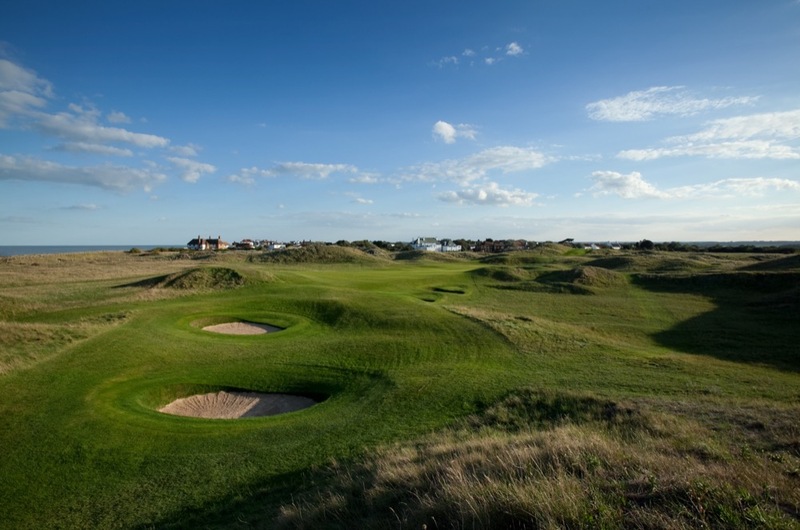 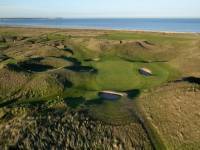 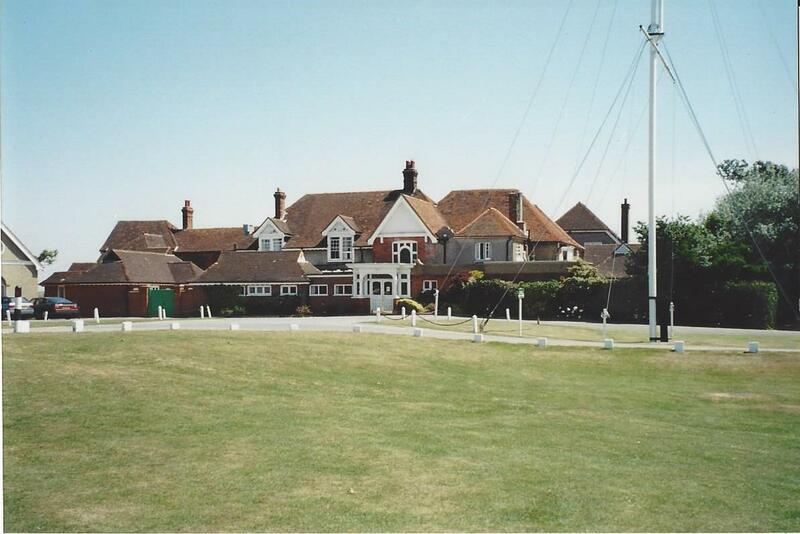 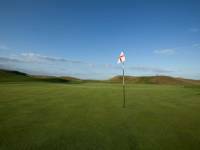 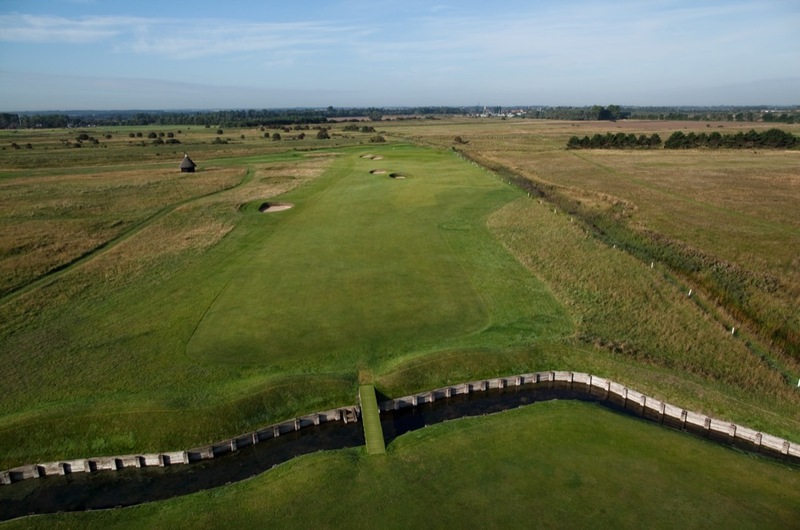 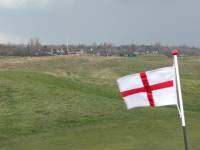 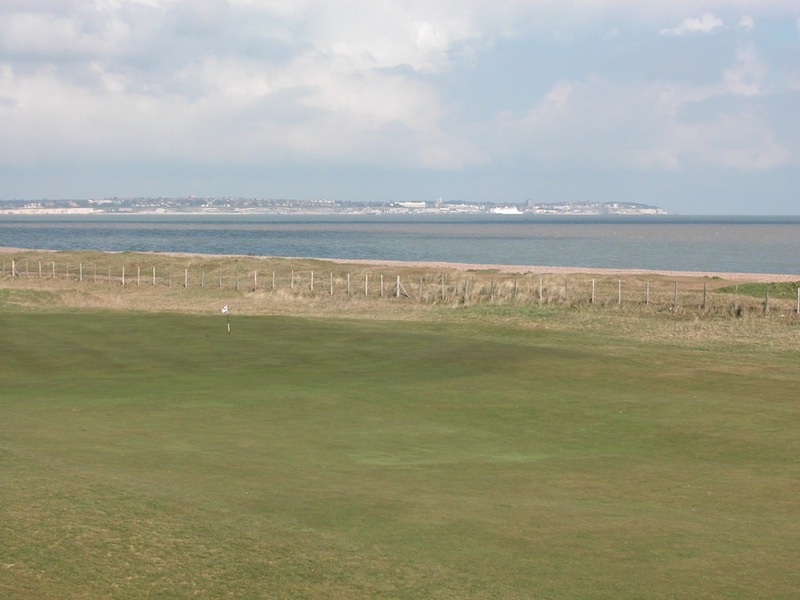 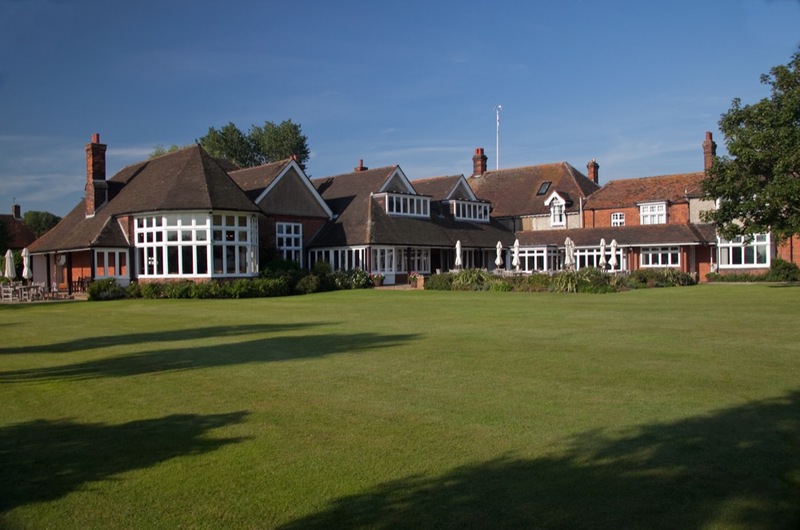 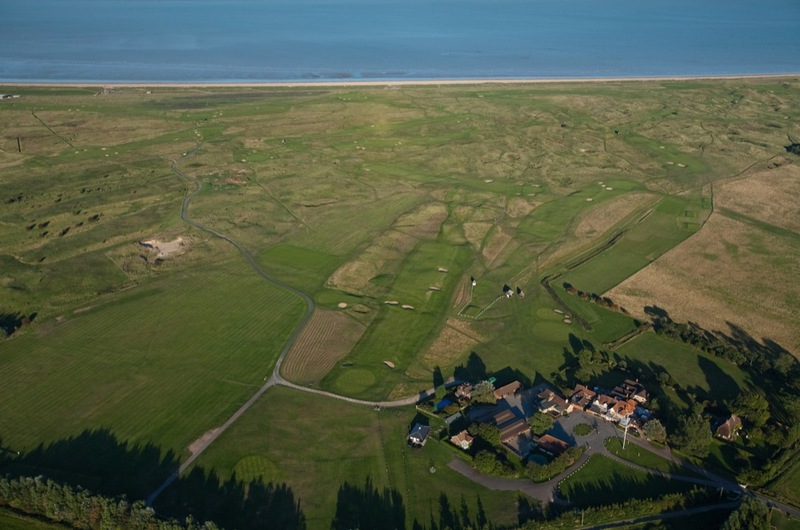 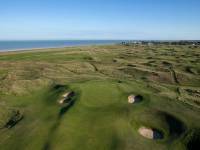 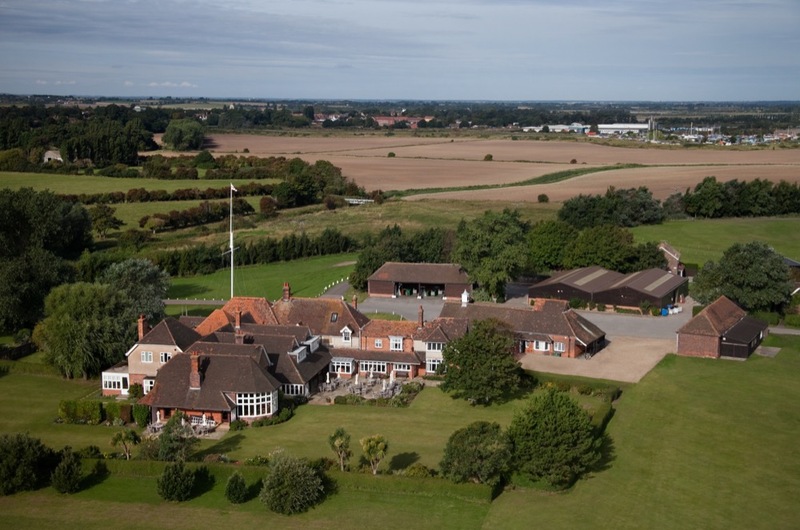 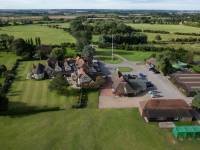 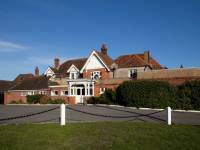 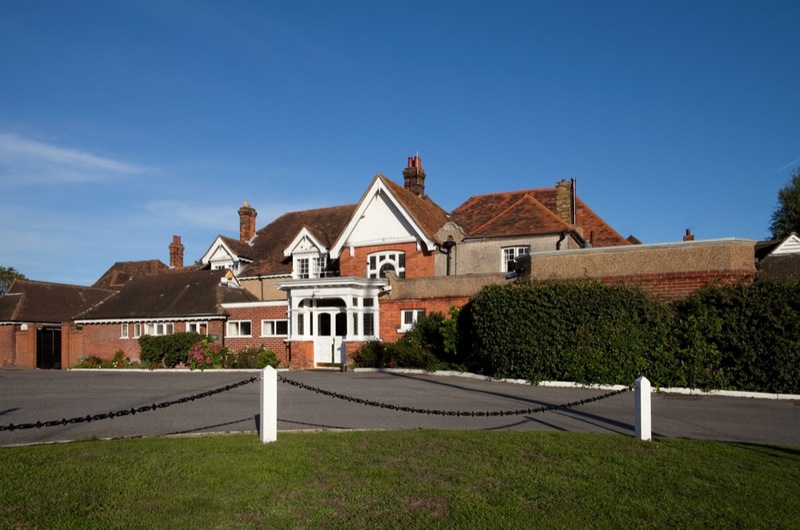 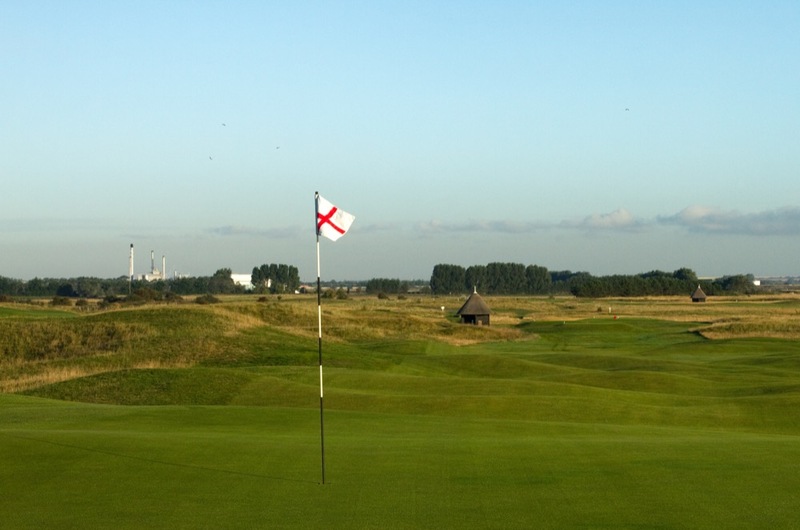 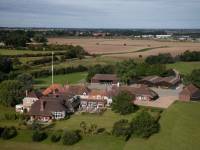 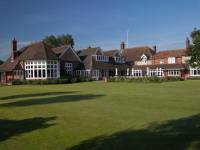 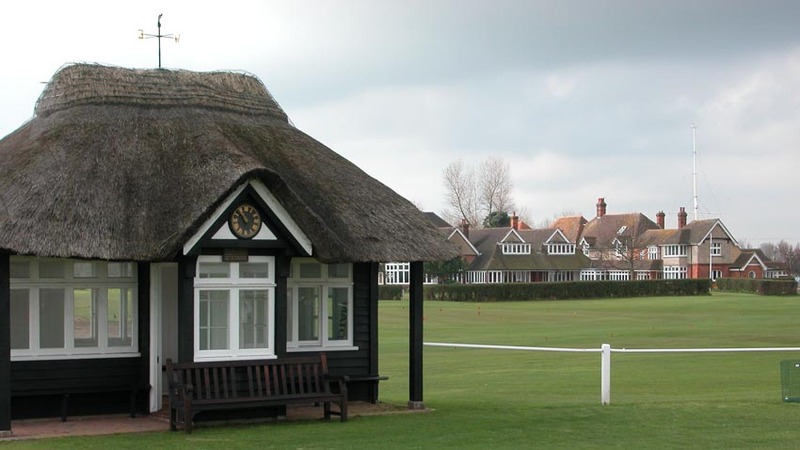 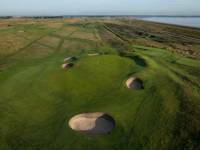 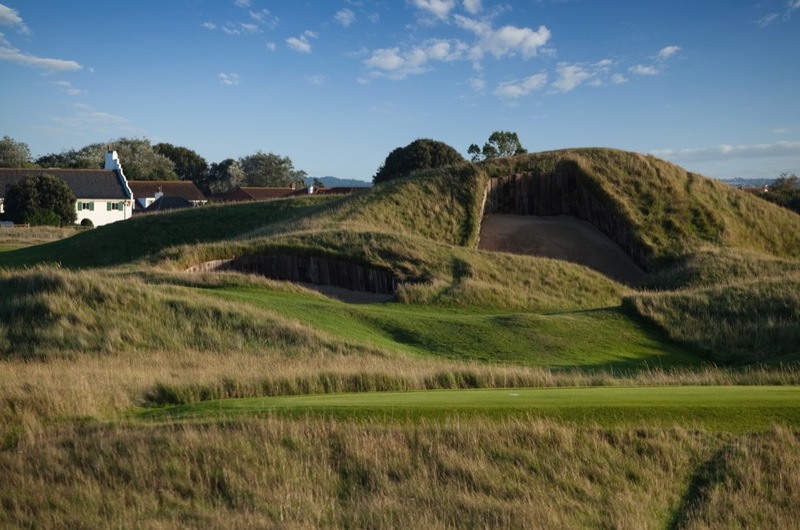 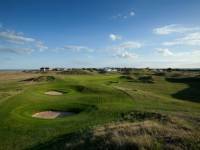 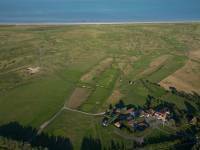 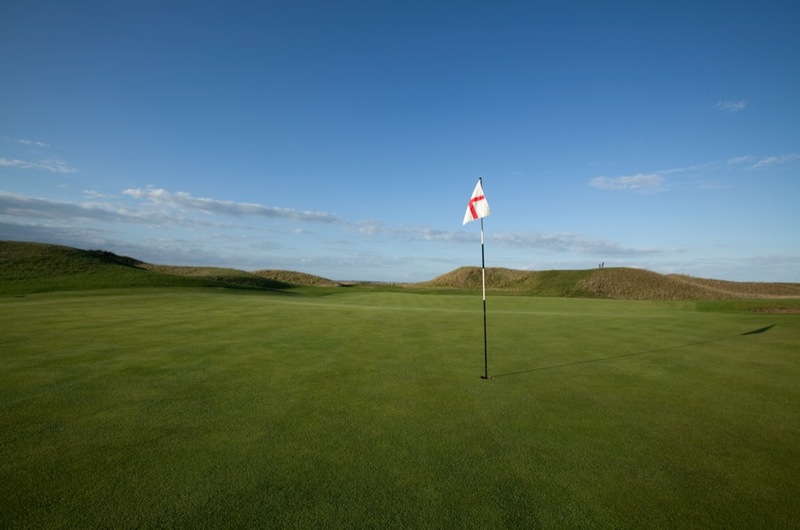 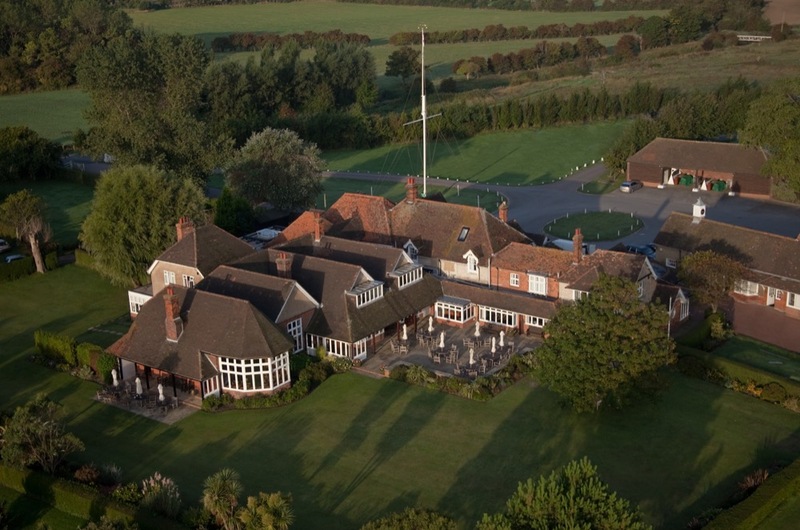 The famous Royal St. George’s Golf Club at Sandwich is the main golfing attraction on England’s Kent Coast and was venue for the 2011 Open Championship where Northern Ireland’s Darren Clarke scored one of the all-time popular victories. 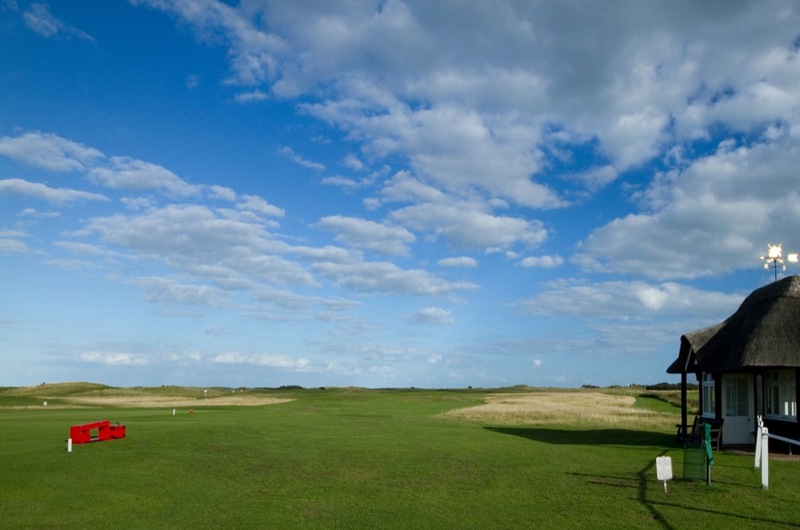 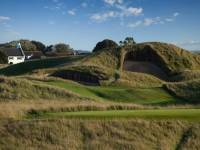 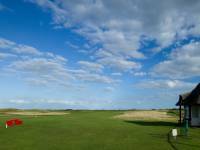 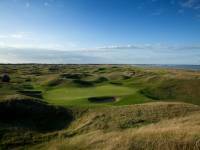 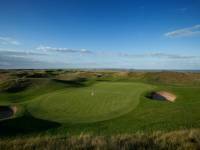 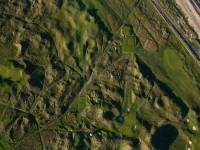 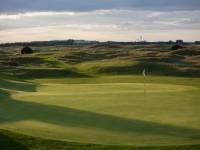 Royal St. George’s Golf Club is also where Bill Rogers, Sandy Lyle, and Greg Norman have recorded memorable victories, and where Ben Curtis became one of the Open’s most unlikely champions. 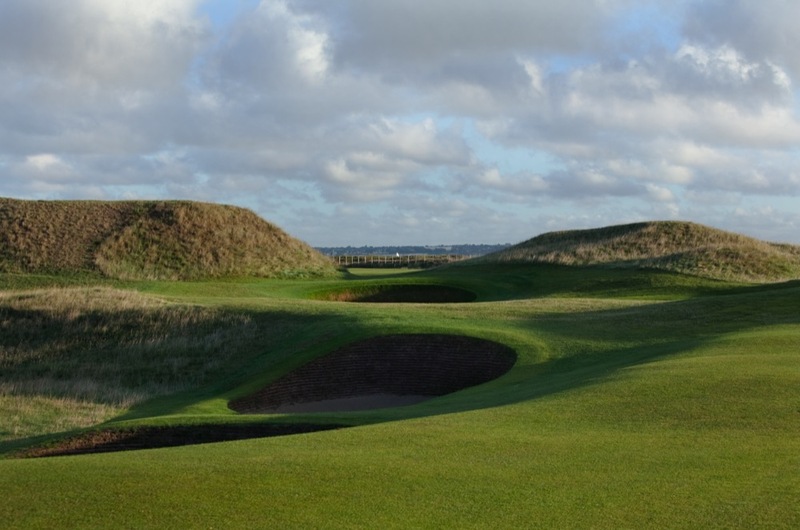 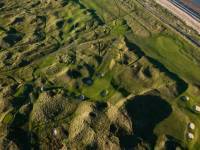 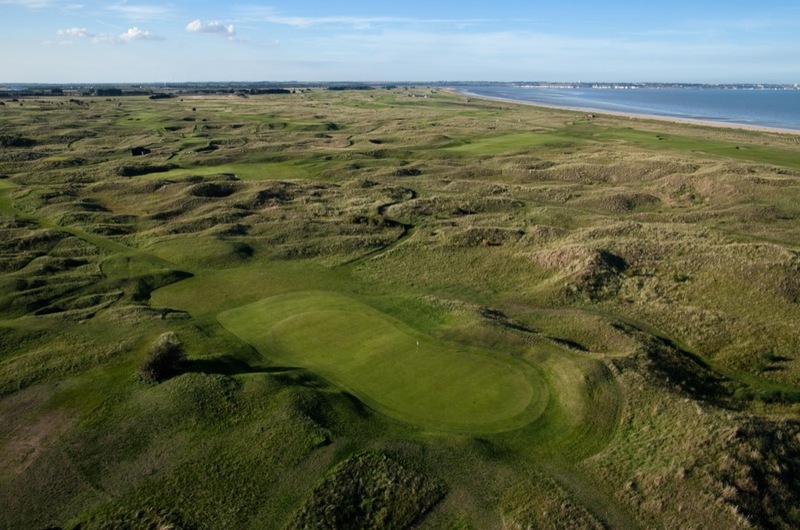 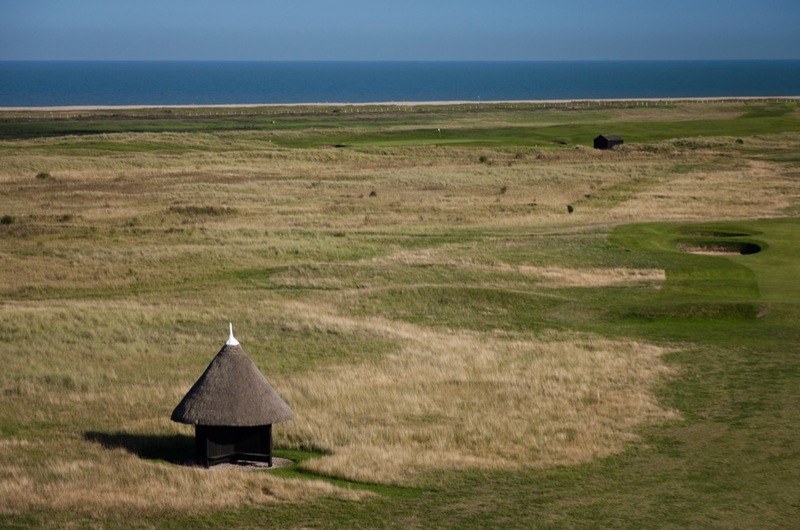 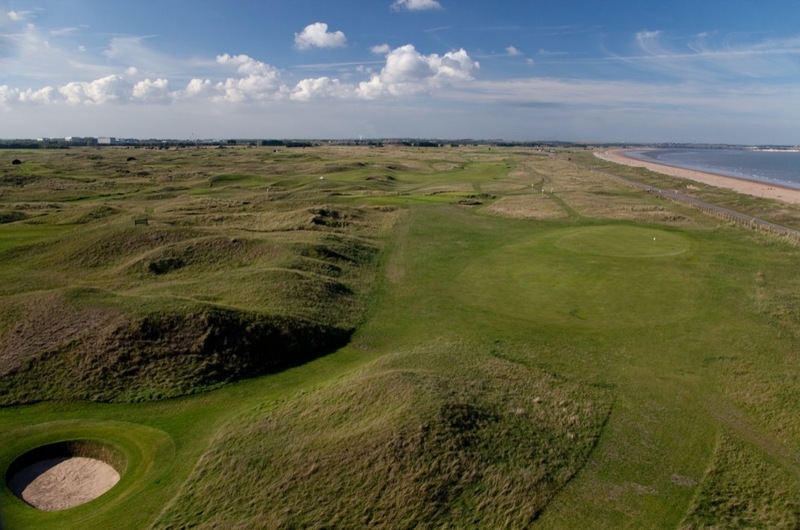 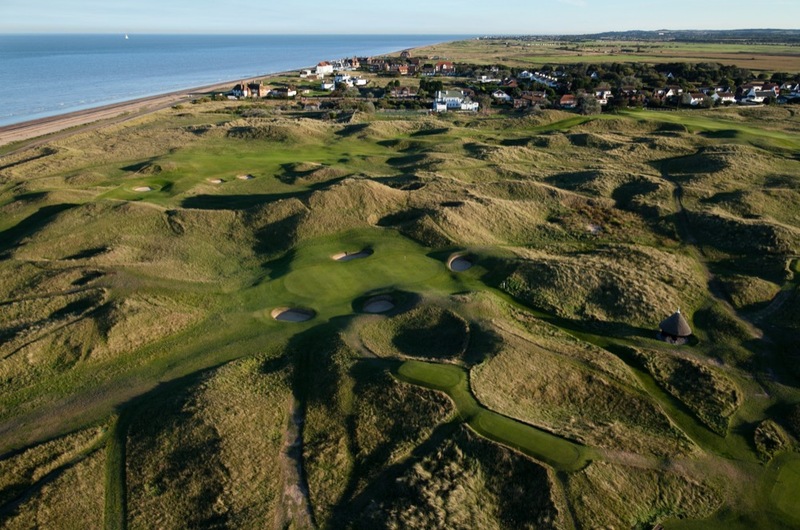 One reason for this wide variation of Open winners at Sandwich (as Royal St. George’s Golf Club is commonly referred to as) is that Royal St. George’s Golf Club is certainly one of the most difficult courses in the world. 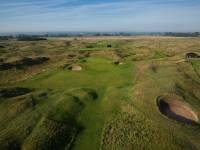 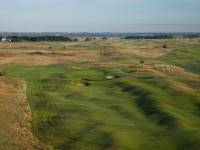 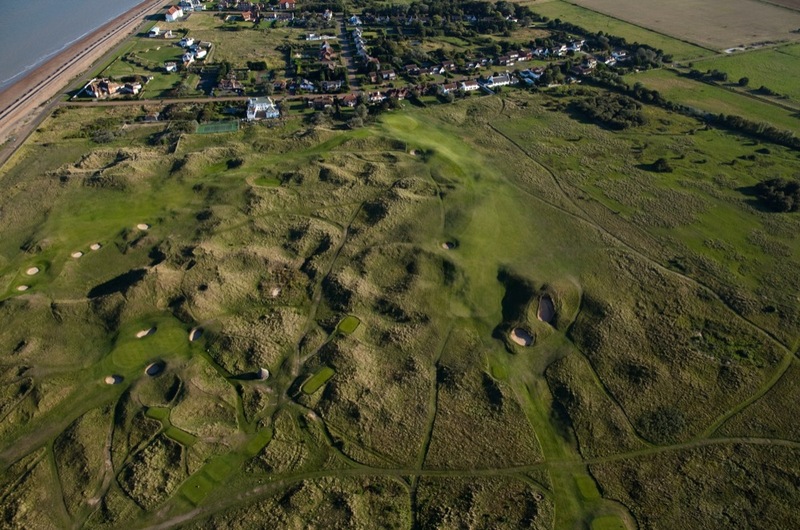 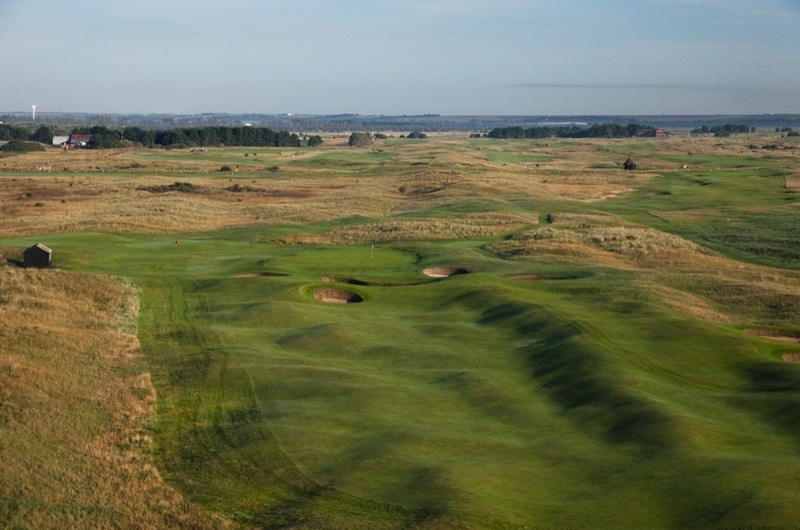 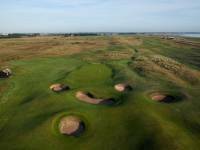 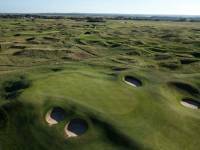 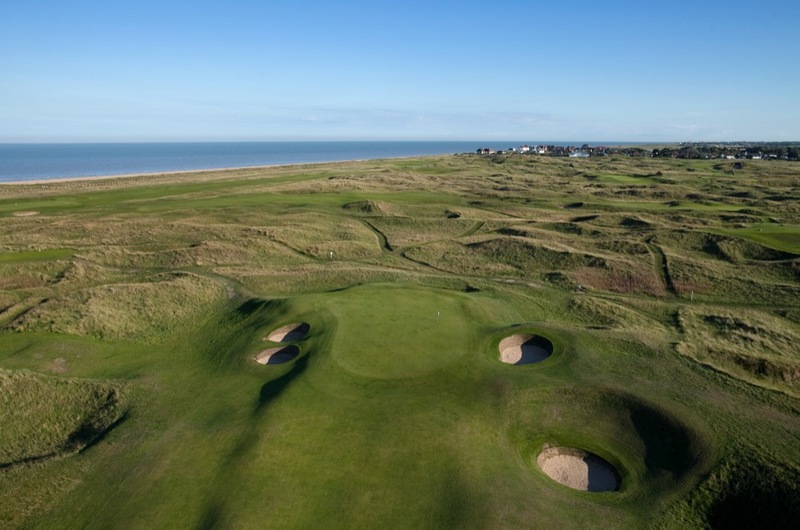 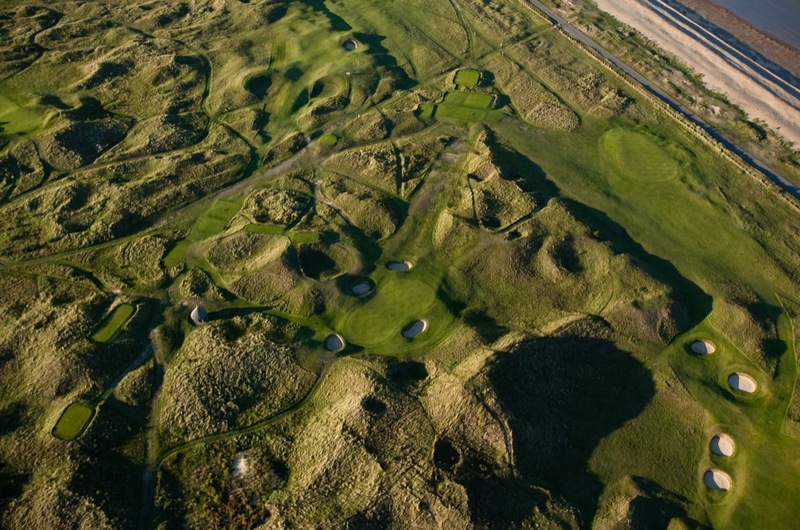 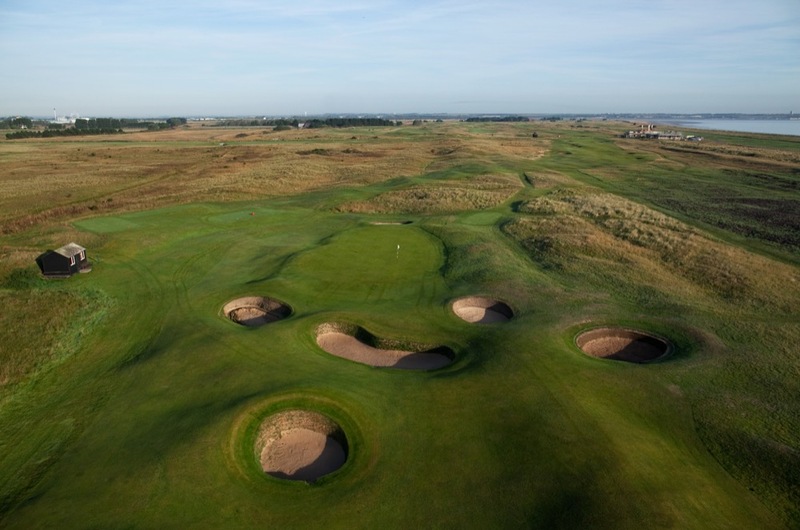 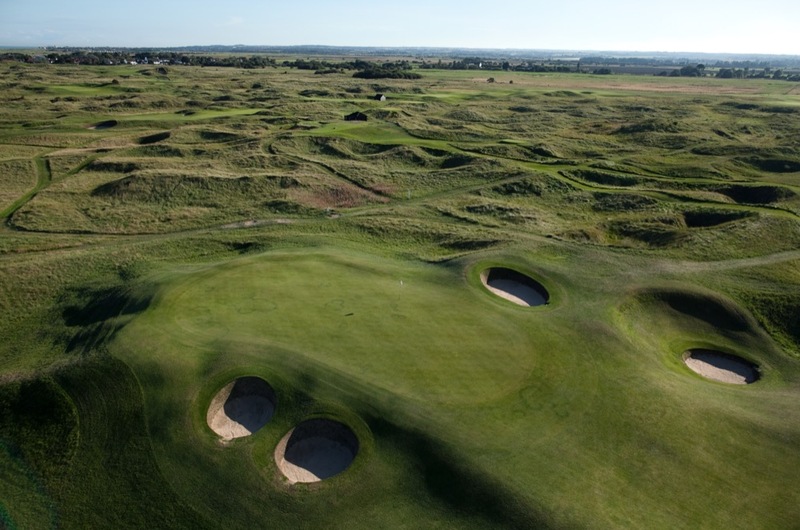 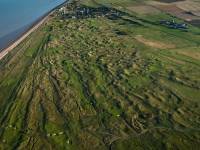 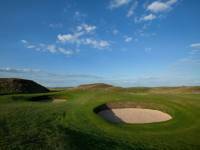 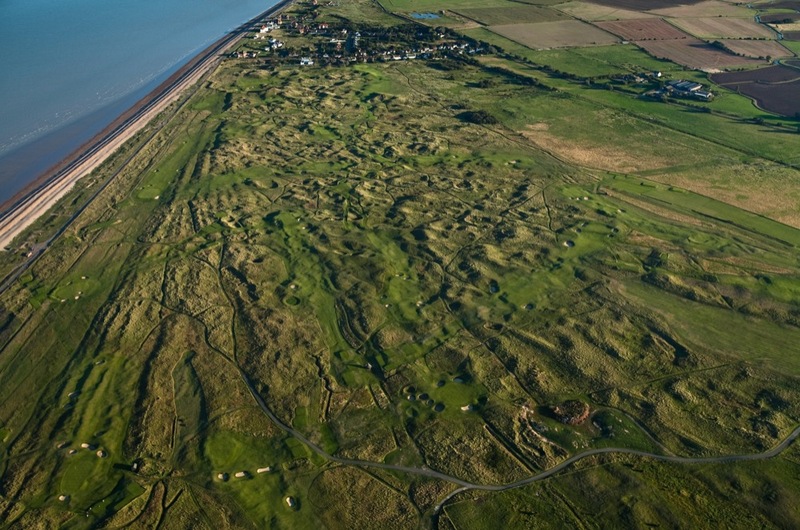 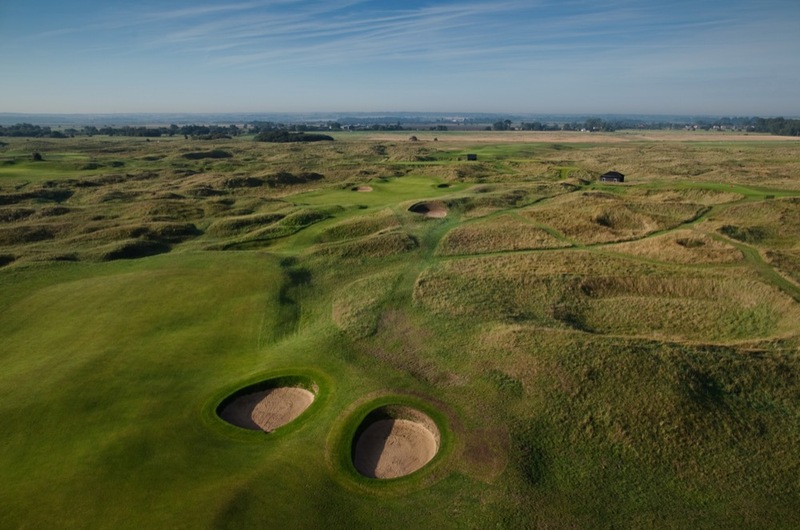 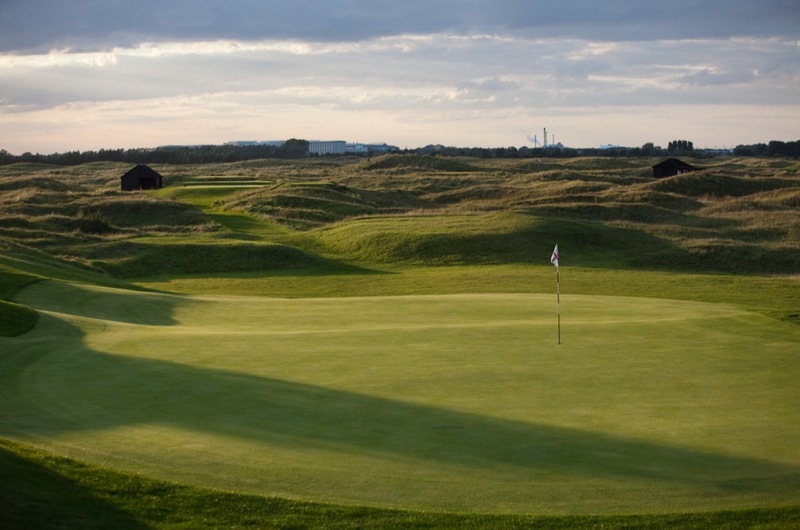 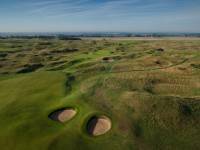 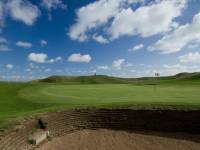 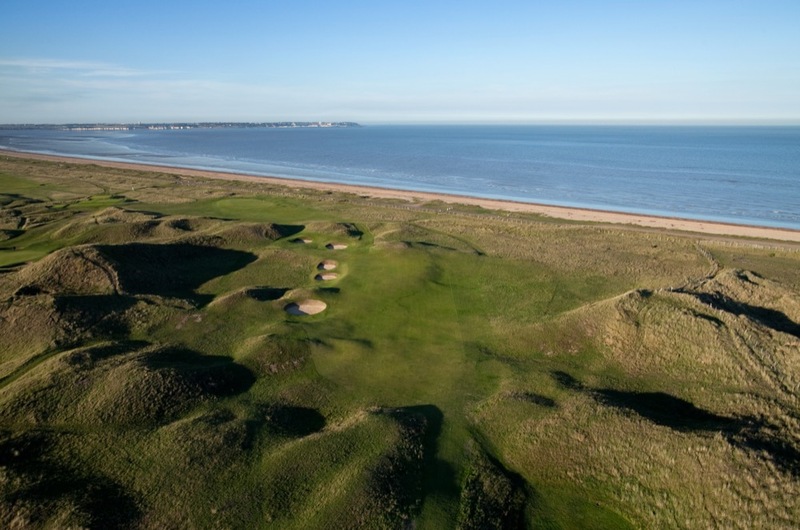 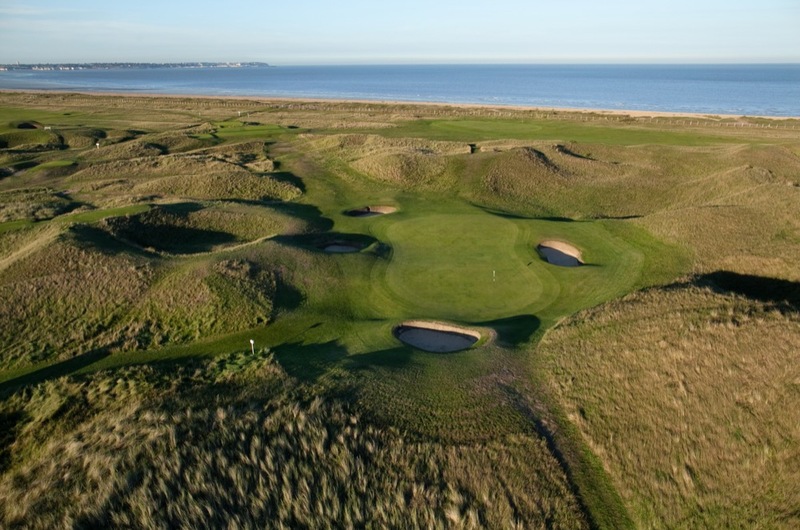 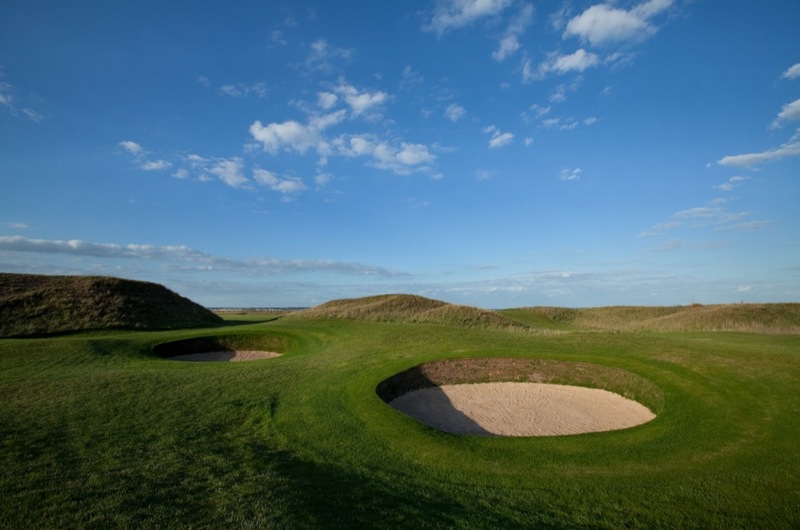 Huge sand hills come into play at Royal St. George’s Golf Club, especially on the front nine, with the largest of these standing guard to the right of the demanding par-4 4th hole, a 2-story bunker that is one of the most intimidating sights to be found in England and the entire British Isles. 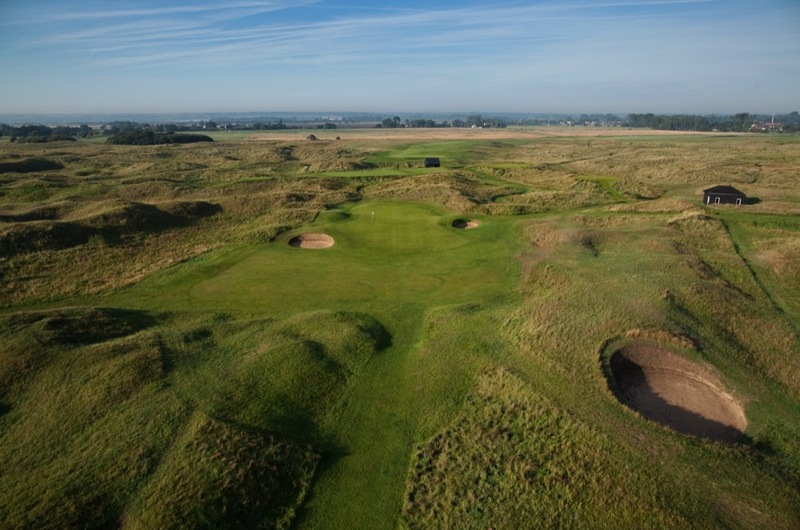 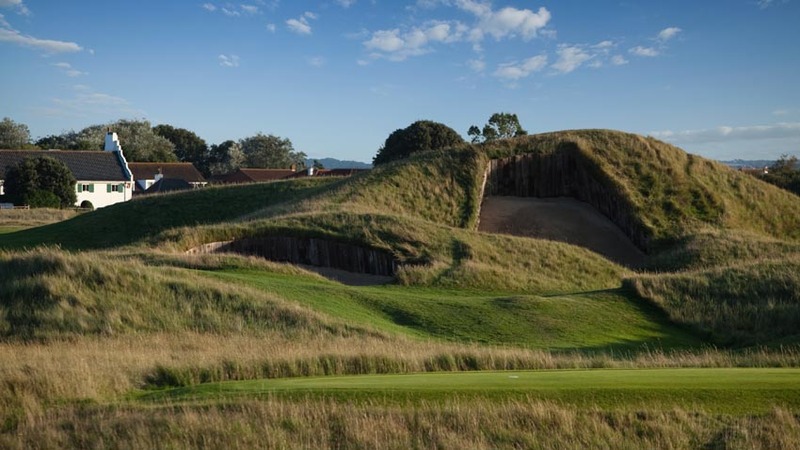 Shored up by large railway sleepers, this bunker at Royal St. George’s Golf Club is called the “Himalayas” and stands 290 yards from the championship tee. 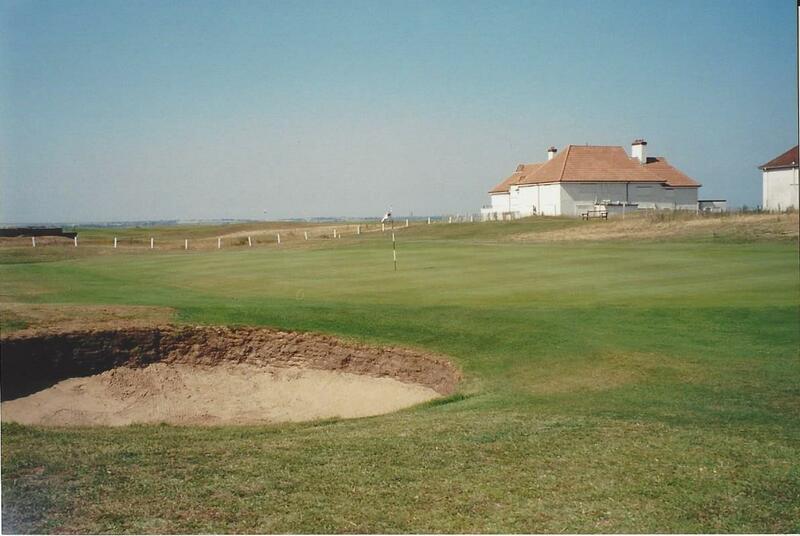 We will never forget Australia’s poor Mike Harwood finding the top left of the bunker in the 1993 Open at Royal St. George’s Golf Club, and having to putt down to the bottom on his way to a triple-bogey. 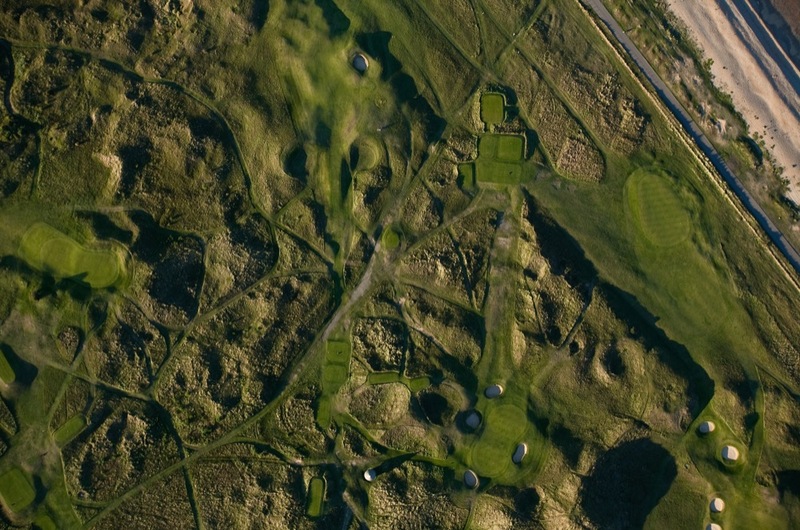 Other memorable holes at Royal St. George’s include “The Maiden,” the famous par-3 6th in the dunes that used to be blind before a new tee was built, and the par-5 14th, “Suez Canal,” with the canal crossing the fairway, and out of bounds hugging the entire right side. 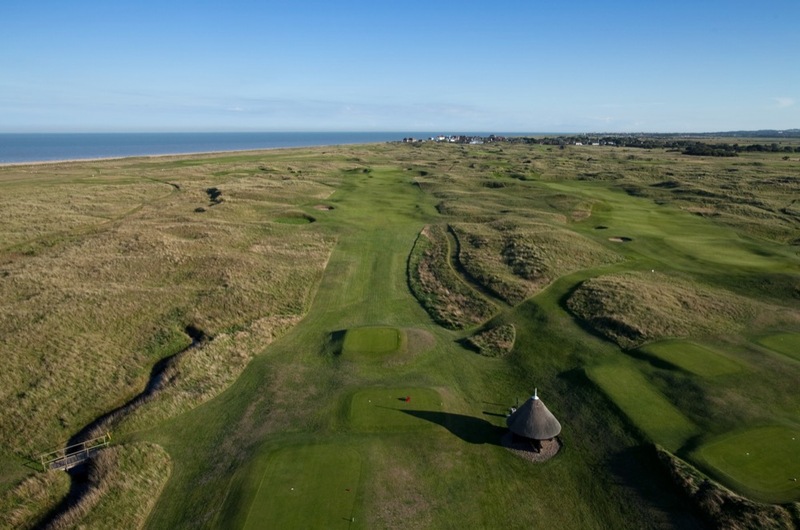 Dustin Johnson won’t forget the 14th at Royal St. George’s that’s for sure, as his second shot in the final round sailed out of bounds to the right and eliminated him from Championship contention. 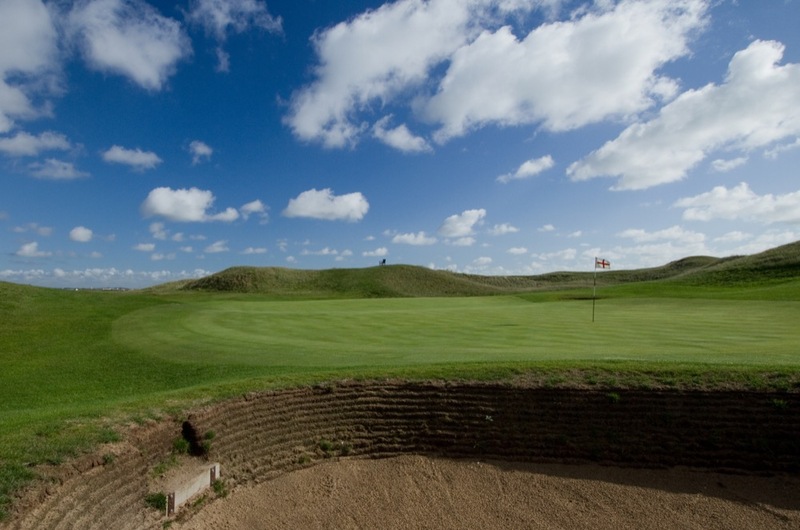 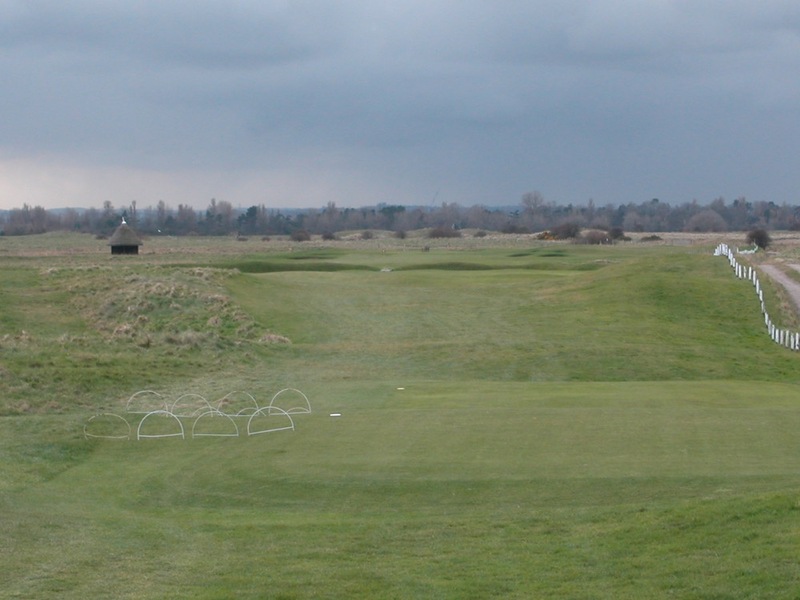 Royal St. George’s Golf Club at Sandwich England is a huge golf course, with nothing even close to a parallel fairway, and the landscape is rugged and tough. 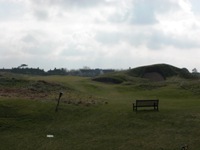 Two-balls only here most days (a policy we enthusiastically endorse! 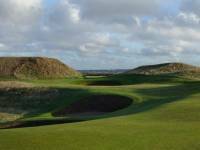 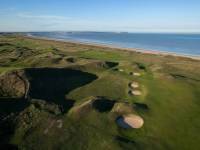 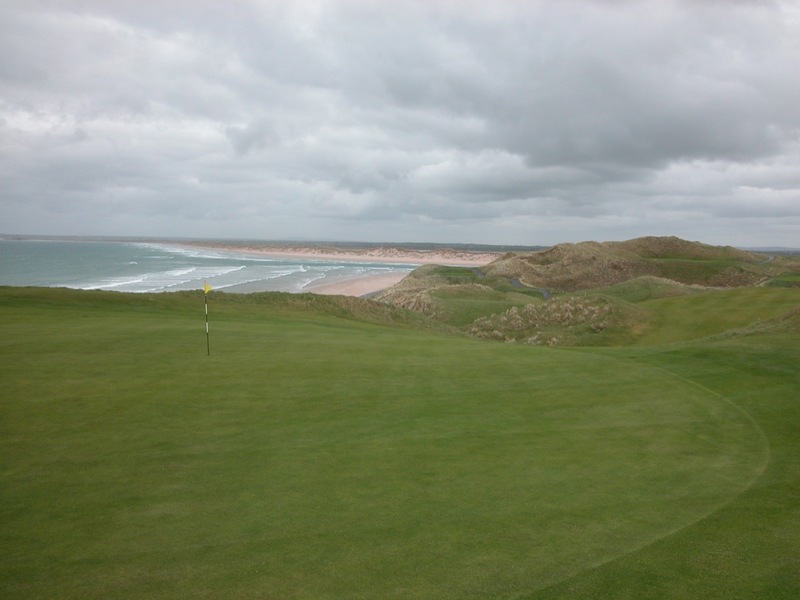 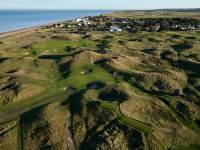 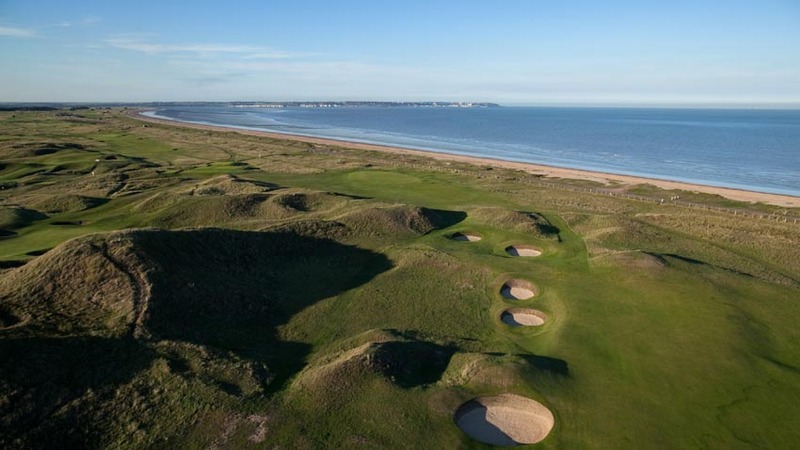 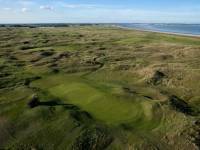 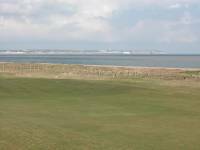 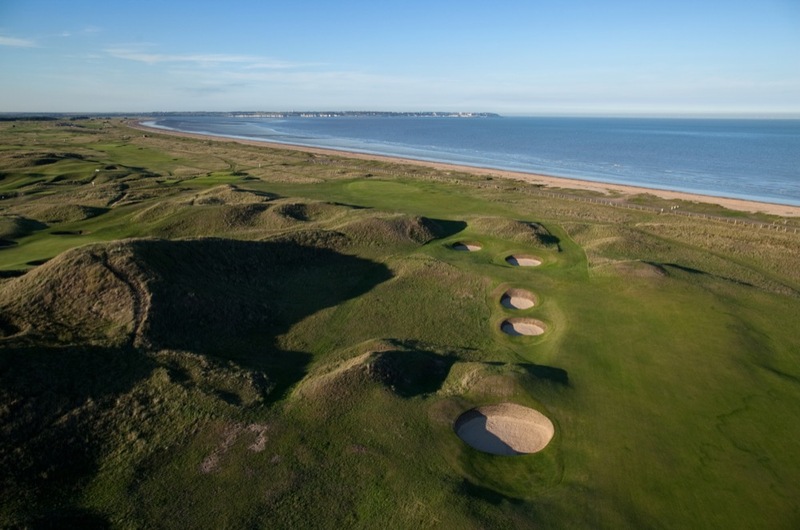 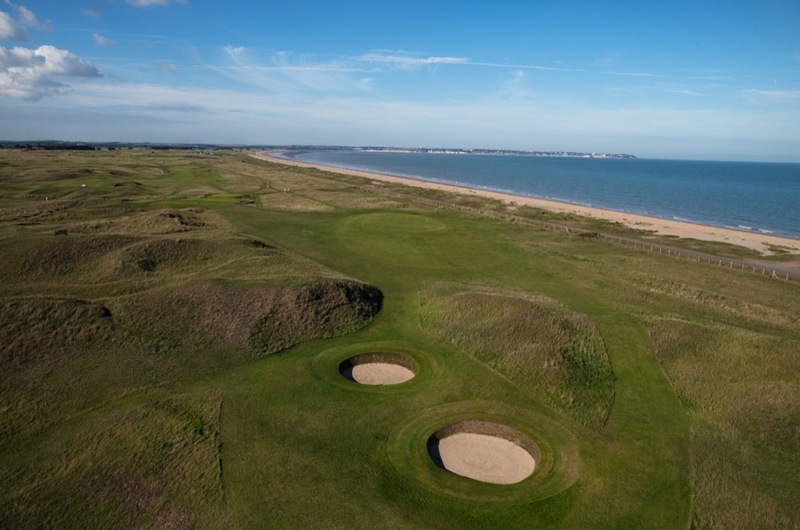 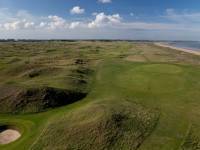 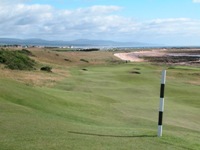 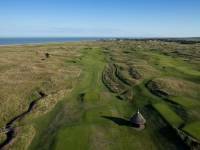 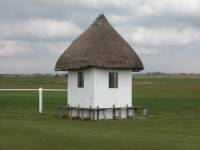 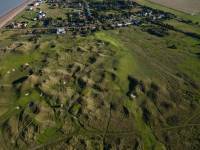 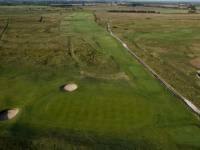 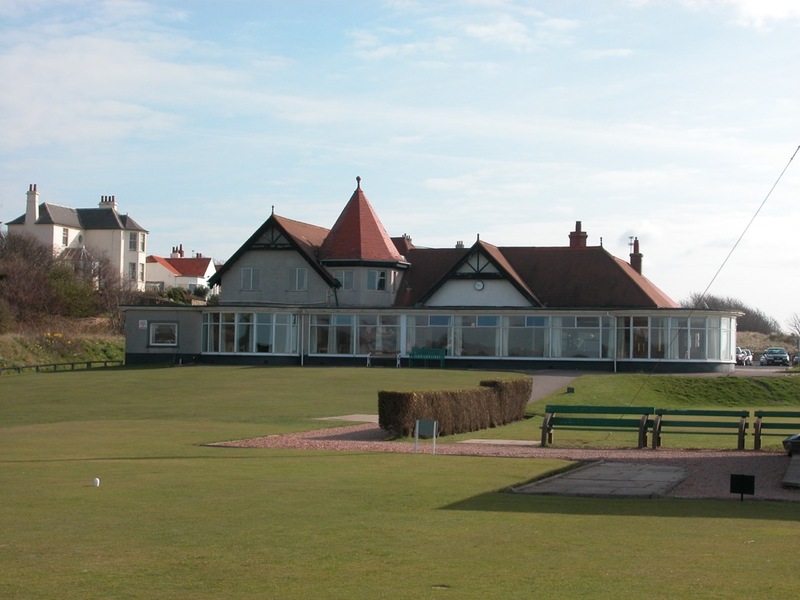 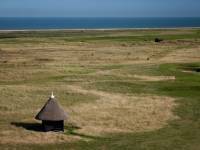 ), which allows quick, three-hour rounds on the spongy Royal St. George’s Golf Club turf, and the chance to play 36 holes but feel like you only played 18. 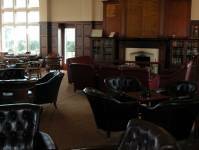 The clubhouse at Royal St. George’s Golf Club is one of the absolute best in England, and the club itself is a classic. 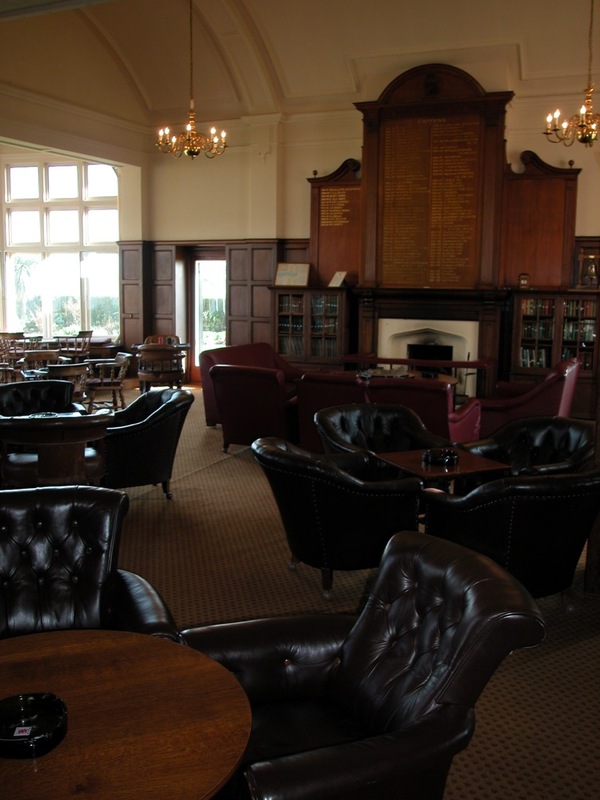 Visitors can enjoy the incredible Royal St. George’s Golf Club members’ bar, and with the right contacts can even stay overnight in the dormy house upstairs (what an experience!). 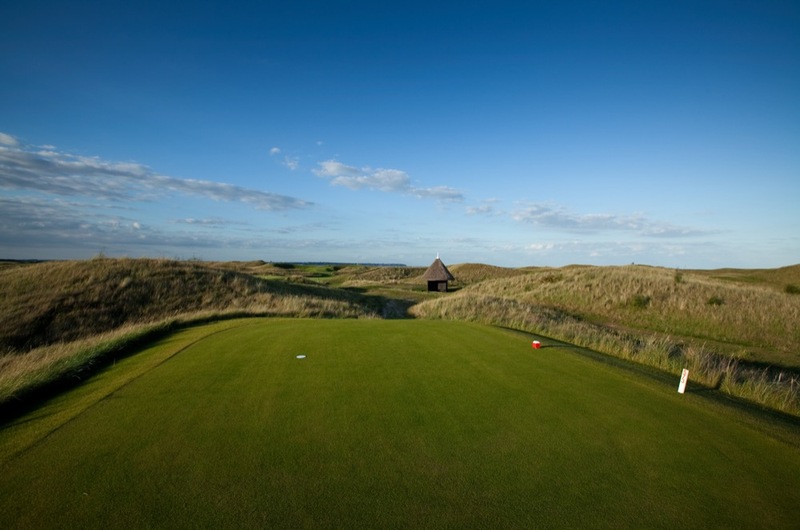 Just don’t forget jacket and tie when you come to Royal St. George’s Golf Club! 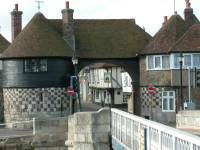 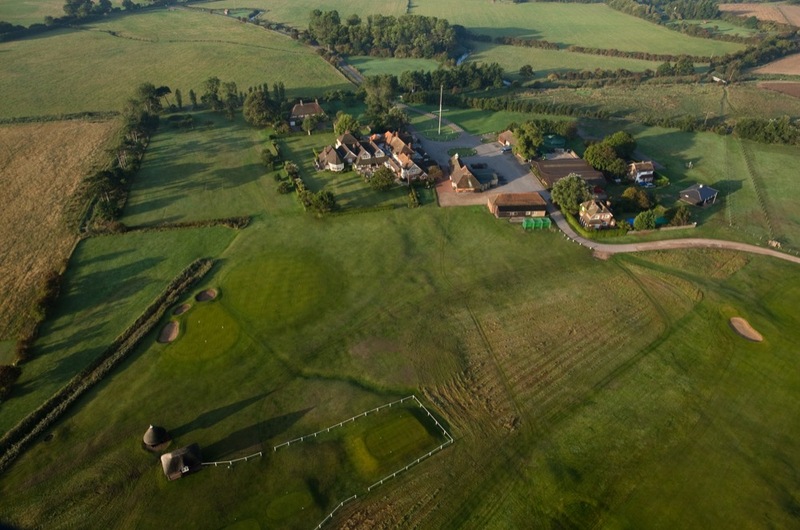 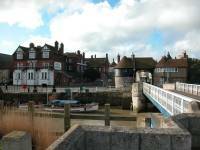 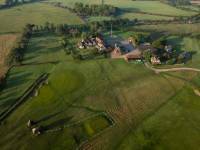 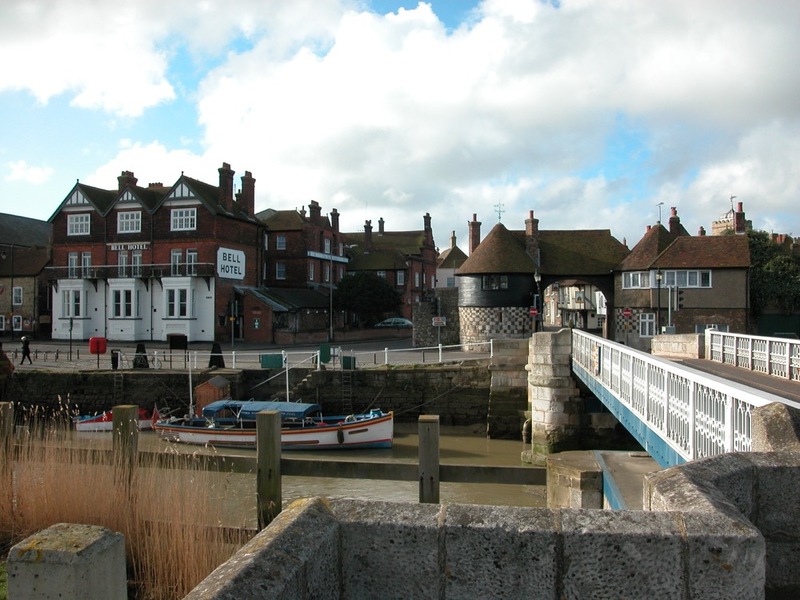 And don’t miss out on the medieval village of Sandwich, with pubs straight from the imagination of what you hope to find on your England golf tour.